Magog, Quebec, July 5, 2016 – Camso, formerly Camoplast Solideal, strengthens its service offering in Europe and increases its wheel manufacturing capacity with the acquisition of Eurowheel, a long-time supplier of tire presses and small runs of wheels. Located in Herenthout, Belgium, Eurowheel is an established manufacturer of wheels, presses and tools for European distributors as well as OEMs across Europe. “This acquisition will allow Camso to produce a greater volume and a wider range of wheels for resilient and press-on tires,” says Gregory Fossey, Vice President, EMEA - Aftermarket Division at Camso. “As a niche player in the off-the-road market, Camso aims to provide products and services to OEM and Aftermarket clients for special wheels and small order quantities; needs not met by any other company,” adds Fossey. Adding Eurowheel’s manufacturing capacity to that of Camso’s will ensure more flexibility on wheel production and bring shorter lead times for customers. This benefits Camso’s European tire service business in Europe, but more specifically in Belgium, The Netherlands, UK and Germany. 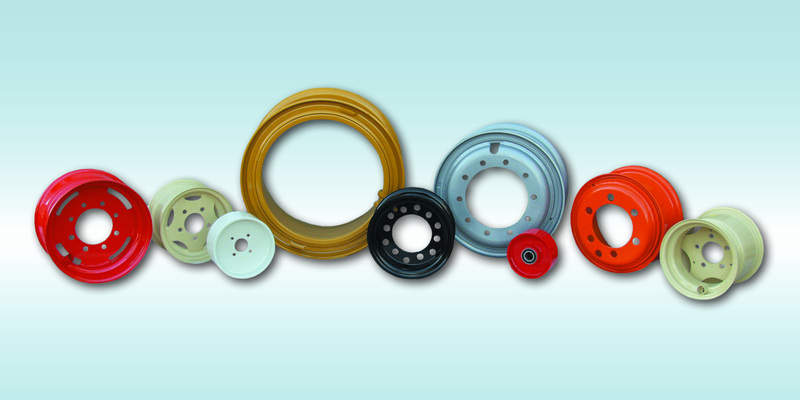 Camso assumes responsibility for Eurowheel’s employees, facility, inventory and equipment. Employees from both organizations will collaborate together to build a larger, better team to ensure consistency in the quality of its products and services. “We will continue to build upon the expertise and processes that Eurowheel customers have grown accustomed to. We are confident the shared knowledge of the two teams will continue to provide a competitive and reliable wheel offering to customers,” concludes Fossey. Camso, the Road Free company, is a world leader in the design, manufacturing, and distribution of off-road tires, wheels, rubber tracks and undercarriage systems to serve the material handling, construction, agricultural and power sports industries. It employs more than 7,500 dedicated employees that place 100% of their effort on 11% of the global tire and track market; the off-the-road market. It operates advanced R&D centres and manufacturing plants in North and South America, Europe and Asia. Camso supplies its products to leading original equipment manufacturers (OEM) under Camso and Solideal names and distributes them in the aftermarket through its global distribution network.